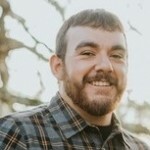 Adrian Rios, Heavy Equipment Mechanic at McCullough Construction, has been selected as one of three finalists for Associated Builders and Contractors (ABC) 2019 Craft Professional of the Year (CPOY) Award. ABC presents the Craft Professional of the Year award to a skilled craftsman who excels in his or her field and demonstrates a commitment to safety, training and passion for their trade. This award recognizes people who raise the bar for what professionals in their craft can be – professionals dedicated to their companies and to the industry as a whole. Adrian has always been a hard worker. After high school, Adrian became a certified welder. Eager to learn additional skills, he then attended and graduated from mechanic’s school. In 2012, Adrian started working at McCullough Construction. “When I started at McCullough, I was working on heavy equipment. Then, I was given the opportunity to start working in the field and put my welding skills to use,” said Adrian. “Being new to a company and working my way up to being so well-rounded in the business has been a great accomplishment for me.” Now, he uses his knowledge, experience, and education daily to perform repairs and maintenance on their 300+ pieces of equipment. In his spare time, Adrian brings small equipment to elementary schools on career days. He demonstrates what the machines can do, even giving the kids an opportunity to climb on and explore the vehicles. To Adrian, showing these young students how incredible construction can be is incredibly important. He hopes to instill a love of the industry with this next generation.